UCSC alumna Bridgette Auger was following women activists in Egypt’s Tahrir Square last week when they came under fire during a clash between protesters and police. Auger—who received her Master's degree in Social Documentation from UCSC earlier this year—shot video footage of the incident, which can be seen on the Daily Beast web site. Auger has lived in the Middle East for several years--working for The UN Refugee Agency in Damascus, Syria, and also as a freelance writer and videographer in the Middle East and Asia. 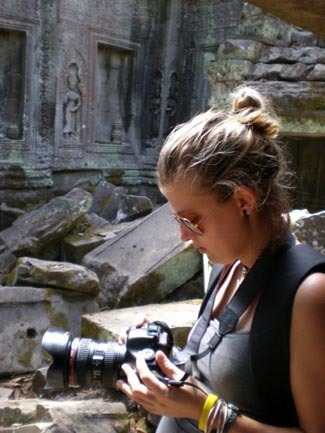 Prior to her UCSC graduate work, Auger earned a degree in photography and imaging from New York University’s Tisch School of the Arts. See more of her work as an independent media artist at videos.